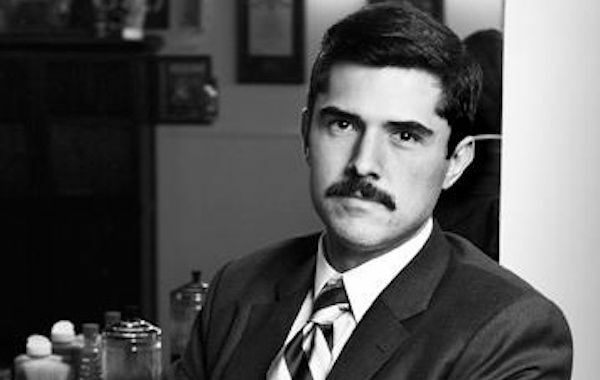 The Art of Manliness is a popular blog created in 2008 by LDS writer Brett Mckay. Brett started the blog as a hobby, but when it began to go viral, he asked his wife Kate to help and eventually hired other writers and contributors—fittingly, all men—to join the team. Both are from Oklahoma and have two children: five-year-old Augustus (Gus) and two-year-old Scout. According to the site’s about page, the Art of Manliness is “dedicated to uncovering the lost art of being a man.” Brett’s main inspiration for the blog was his grandfather, Willian D. Hurst, whom he considered to be truly “manly.” He was a WWII veteran who loved being out in nature, was good at fixing things, and was a thoroughly good man. Brett really looked up to him throughout his childhood and hoped to become like him someday. At the same time, Brett noticed that men like his grandfather were gradually becoming few and far between. In an effort to rekindle the noble definition of manliness that his grandfather’s example had instilled within him, Brett started his blog, the Art of Manliness. Ultimately, the Art of Manliness aims to encourage our readers to be better husbands, fathers, brothers, citizens — a new generation of great men. Brett’s perspective on manliness is not exactly mainstream, but it’s very intriguing. Many of the values that he discusses in his blog subtly reflect the values of Brett’s beliefs as a member of The Church of Jesus Christ of Latter-day Saints. For example, the articles, “Don’t Take Marching Orders from Your Belly,” “Why You Should Go to Church (Even If You’re Not Sure of Your Beliefs),” and “Should You Live Together Before Marriage?” are compatible with LDS beliefs. However, Brett does not wish for the Art of Manliness blog to be exclusive to only Mormons or even to only religious people; rather, he hopes for people from all walks of life to visit his blog and be positively affected by it.